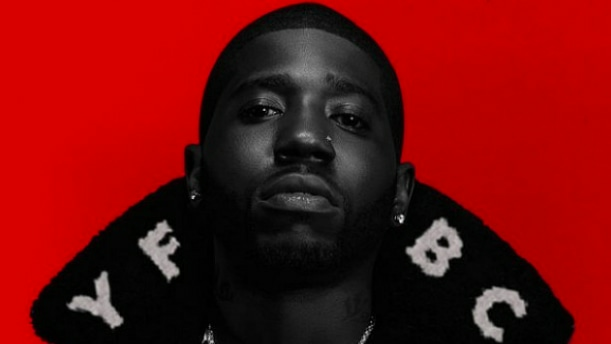 YFN Lucci has been grinding and building a buzz for a while now, with tracks such as "Everyday We Lit" featuring PnB Rock and the Trouble and Migos-assisted "Key to the Streets" dominating the underground. After much anticipation, the Atlanta rapper has officially dropped his debut album, Ray Ray From Summerhill, which was released via Think It's A Game/Warner Bros. Records. The project spans 20 tracks and calls on the likes of T.I., Dreezy, YFN Trae Pound, Wale and more as special guests, as well as includes the previously released bangers "Boss Life" featuring Offset and "Street Kings," which featured Meek Mill. His track "Boss Life" sparked some controversy with Offset finding himself in hot water over lyrics that were interpreted to be homophobic. Ray Ray From Summerhill marks the second release YFN Lucci has had this year, dropping his Freda's Son EP in February as a precursor to his major label debut. YFN Lucci, like many of his peers, is gearing up for a busy week at SXSW next week in Austin, where he is sure to perfect the material off his new album in a live setting now that fans have some time to get better acquainted. In April, he'll be setting out on a 24-date tour to promote the project as well. Take a listen to YFN Lucci's debut album, Ray Ray From Summerhill, below.